Most people do not put much thought into washing the face. They simply splash some water on their face and use whatever cleansing products are at hand to wipe away any irritants that are on the skin. Using the right products and technique to wash the face will help prevent the skin on your face from becoming irritated. Taking the time to evaluate your skin care routine can help you improve the look and overall health of your skin. Remember to wash your hands before washing the face. Your hands will be covered in oil, germs and dirt you have come into contact with throughout the day. In case you are washing face at a sink, use a clip, barrette, elastic or headband to gently pull your hair up off the face is necessary. If you are taking a shower, rinse your hair to keep it back or wear a bath cap. Make sure you use makeup remover to take off foundation and other such products before you wash the face. Many cleansers are not capable of taking these products off completely, particularly in hard to reach areas like around the eyes and nose. Emollient wipes, oil-based creams or cleansing oils to take off makeup and sunscreen. Follow this with your cleansing routines as necessary. Splash with some water over your face. You can also take a facial steam either in the bath or using a pan with hot water several times a week. Avoid using hot or cold water while you wash your face. Hot water will excessively dry the face and cold water will close the pores, making it difficult to cleanse them properly. Use warm water to minimize these extremes. Use a dollop around the size of a nickel. Don’s use too much cleanser when washing. Use the fingers to massage your face rather than a brush if your skin tends to be dry. 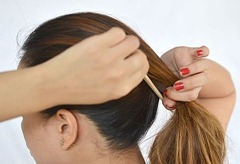 A light touch will minimize the irritation to the skin. Use circular motions and do not scrub, especially if you have acne. Scrubbing will only spread the infection around the face and cause more irritation. Avoid cleansers that contain fragrances as these can be irritating to the skin. Also avoid harsh soaps or parabens that could be toxic or dry the skin excessively. Beyond this, customers are encouraged to try different cleansers to see which they prefer. Try to find cleansers that contain ingredients like shea butter or glycerin that will help moisturize the skin. However, if your skin tends to be oily, a foaming cleanser might help clean the skin more effectively. If you are applying cleansers or other products that contain acids or retinoids every night you should not exfoliate every night as well. This can lead to inflammation. Use an exfoliation brush sparingly to remove dead skin, oil and dirt that have built up on the face. Rinse the brush and allow it to air dry after you use it or replace the head after three months to avoid growing bacteria on the brush. Scrubs that contain grainy ingredients may not be as effective as cleansers that contain glycolic or salicylic acid. While both contain anti-aging ingredients and can help prevent breakouts, but salicylic or glycolic acids are gentler on the skin. Alternate your regular wash using these products around three times a week, adjusting your routine as necessary to get your skin feeling and looking as healthy as possible. Rinse your face thoroughly to make sure there is no cleanser left on the face. Repeatedly splash with water over your face while gently rub with fingers. Remember to rinse as long as you feel that cleanser has come off. A wet washcloth might be helpful. Don’t forget to rinse your hairline, jawline, neck or other places that may be touched by cleanser. You should dry the skin as gently as you wash it. Pat the face instead of rubbing to avoid damaging the skin. 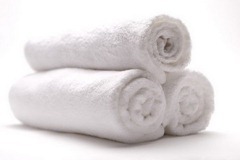 Make sure you use a clean towel to avoid transferring bacteria to the face and causing more breakouts. If you apply any sort of topical medication after you wash, wait at least 15 minutes after you have finished washing and drying your face to minimize irritation. There is some debate on how often you should wash your face throughout the day. In general, dermatologists agree that washing too often or too aggressively will cause the face to become irritated because you will strip the natural moisture from the skin. In order to prevent breakouts, wash the face at night, particularly if you have oily skin. Do not wash more than once at night if your skin tends to be dry, though you should gently wash the face after exercising to minimize breakouts. You do not need to buy expensive products to keep the skin on your face looking healthy. Instead, seek out products that are intended to be left on the face, particularly if they contain antioxidants and retinol. These will be more effective and will cost less money than many other products on the market.